Change your mustache like you change your socks! 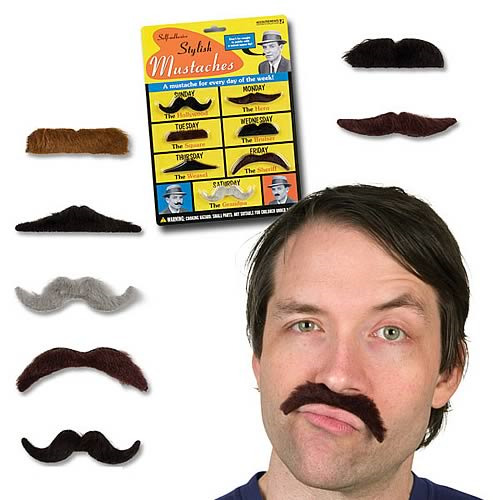 This seven-piece collection of Stylish Mustaches allows you to have a dashing new look each day of the week. Monday you're the Hero, Thursday you're the Weasel. Made of lifelike synthetic hair and backed with adhesive tape, these little lip-rugs can dramatically change your image. Seven different styles on each illustrated blistercard. Order yours today!